Desert Psychlist has waxed lyrical about Chile's underground rock scene on these pages before as well as filling readers in on a little history regarding the suppression of any music that the Chilean authorities deemed to be subversive. 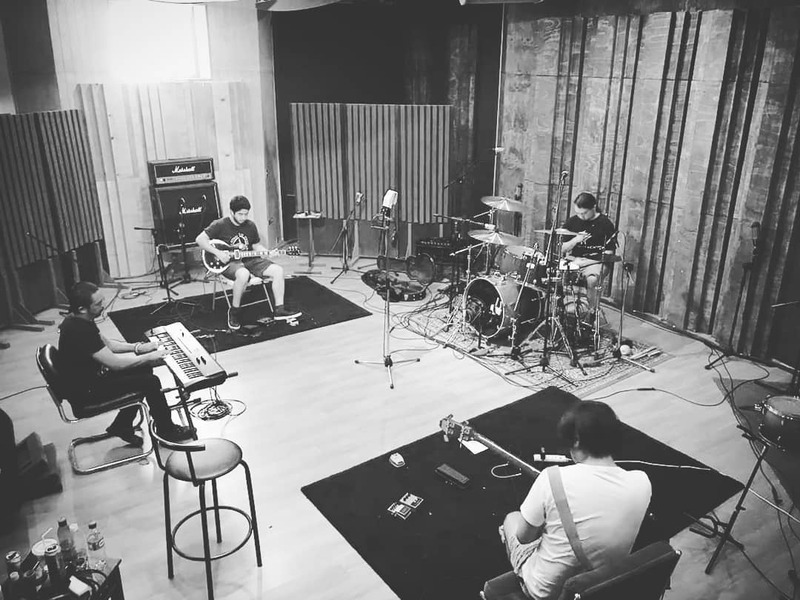 Thankfully things have changed quite drastically in that department over the years and Chile is now a hot bed of musical activity, especially in the field of underground rock. 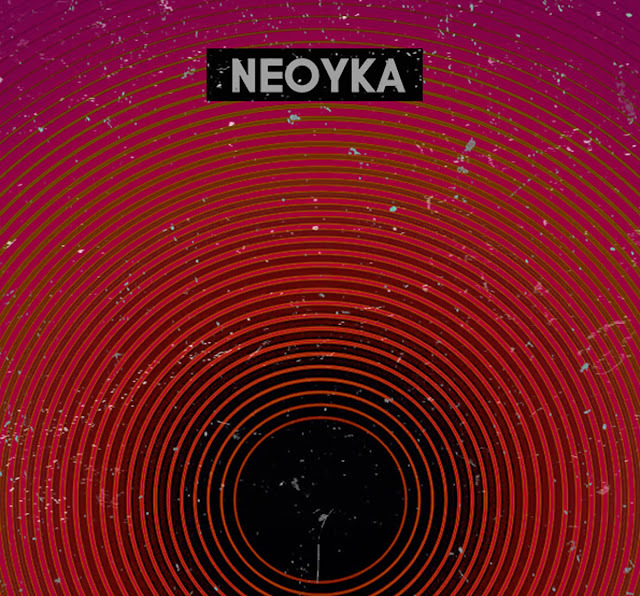 Neoyka, Alfredo B. (guitar/vocals), Diego H. (drums), Felipe P. (bass/vocals) and Moisés S. (synthesiser), hail from La Serena, Chile and call what they do "stoner/fuzz rock", a term that somewhat belies the depth and scope of the grooves these guys bring to the table, yes they have the stoner fuzz thing going on and yes they do rock but there is a lot more going on here, something that is more than borne out when listening to their latest release "Vol.II: Desborde y el Ocaso"
Ominous and atmospheric is the best way to describe "Vol.II's" opening instrumental "Introspeccion I" it's deep booming bass lines, scorching psychedelic guitar forays and hard driving percussion are taken to another level by an array of swooping, swirling keyboard /synth colouring, all these elements coming together to create a mood and feel that although edged in darkness is nonetheless soulful and uplifting . 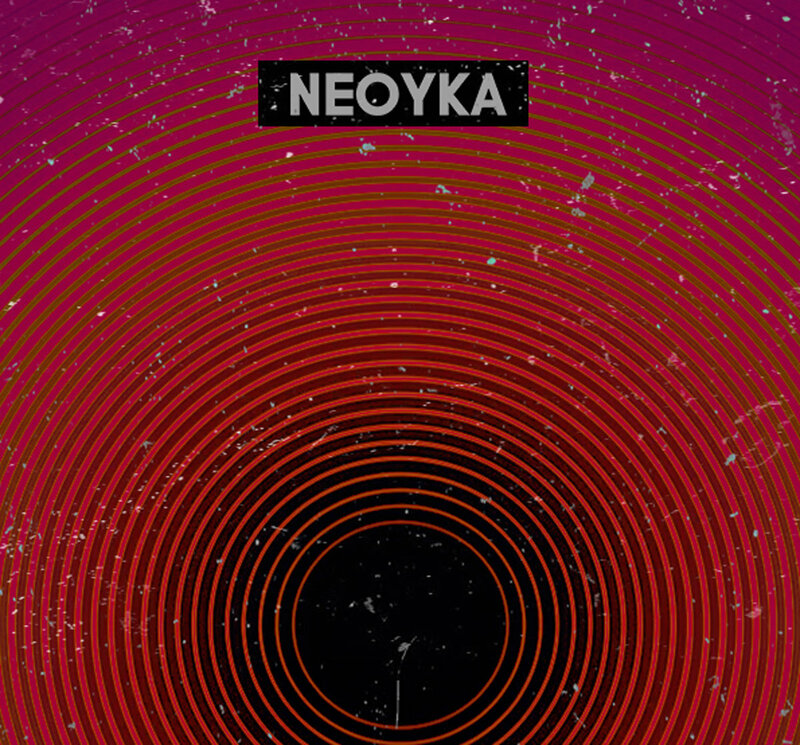 As well as being quite adept at being dank and moody Neoyka can also rock and they prove this with songs like "Marbola", "70 Rockas" and "Estrelle de sombras benignas", songs drenched in devastating levels of distortion and fuzz and coated in powerful clean dual vocal harmonies (sang in Spanish), songs that grab you by the throat and demand your attention. It is however those songs that step off the gas a little and explore darker sonic pathways that really make Neoyka a force to be reckoned with, the lysergic "Sabes" with its beautiful keyboard intro and emotive vocal melody, the stoner doomic "A 2 segundos" with its dank distorted doomic refrains and church like organ textures, the bluesy and schizophrenic "Nuestra marcha" and the hazy, lazy, lysergic instrumental "Introspeccion II & III" all go to show a level of arrangement, song writing and instrumental aptitude that is, at times, mind-blowing. 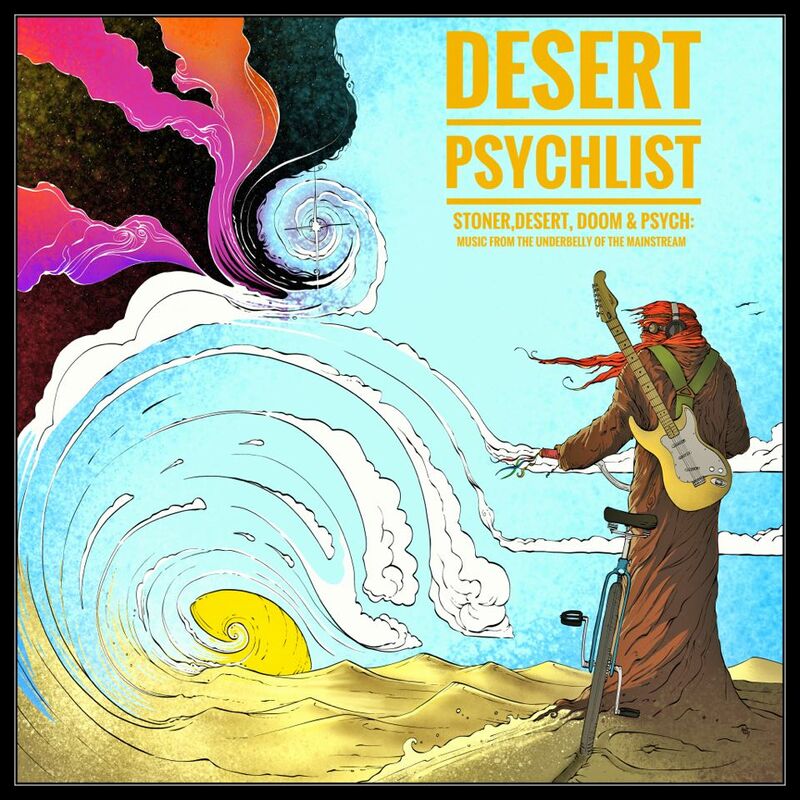 Stunning is a word oft overused regarding music and art but Desert Psychlist does not apologise for using it in the context of "Vol.II: Desborde y el Ocaso", this IS a "stunning" album that rocks and soothes in equal measure and should be heard to be believed. 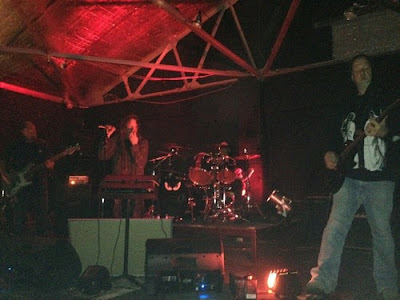 Bath, UK's Eyes Fly, started life as two man project conceived at an all day doom fest by Peter (guitar) and Gaz (drums) , two West Country residents brought together by a mutual love of doom and heavy noise in general. Realising that, to really bring to life the sound they were hearing in their heads, the duo needed to become a quartet the pair soon recruited in Tom on bass and Dean, from Gaz's previous band Valfader, on vocals. 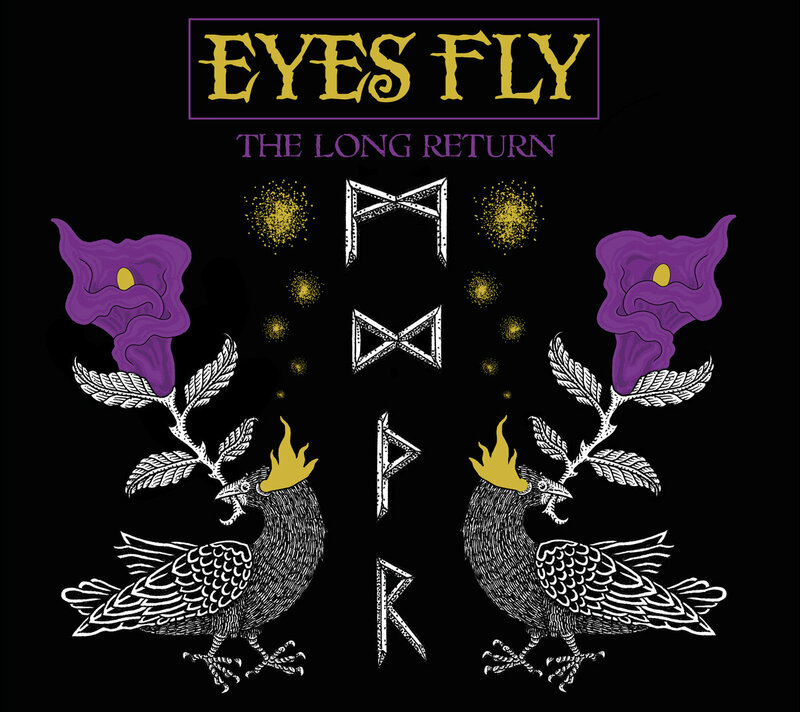 With Eyes Fly now a four piece the band set about writing tunes that would best utilise their newly expanded line-up and showcase their bigger more dynamic sound, the results of which can be heard on the bands debut release "The Long Return". 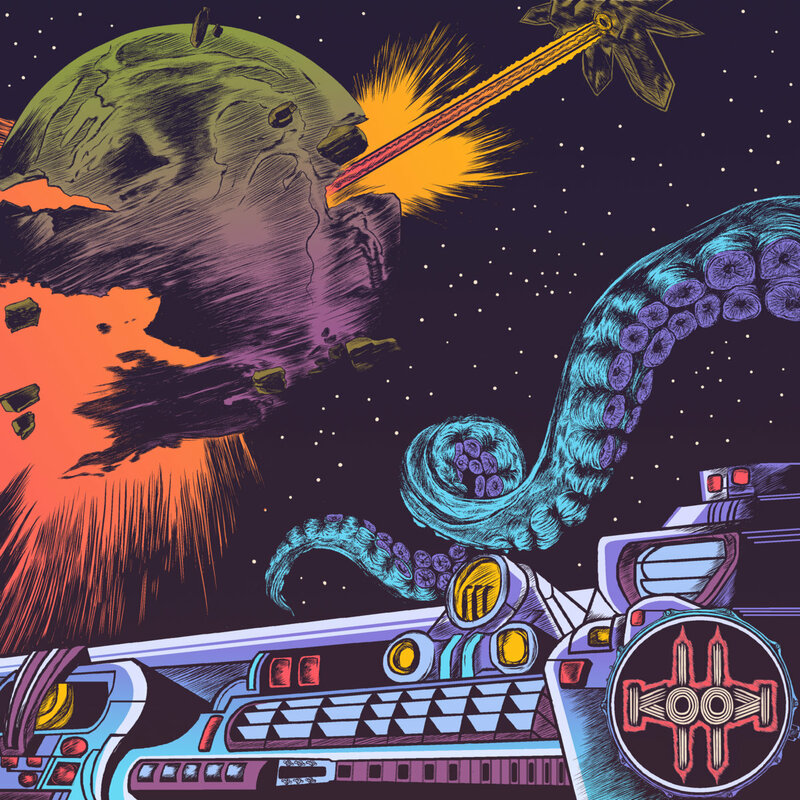 Prog, as a genre/style of music, has had its denigrators over the years, so much so that prog's overblown nature was cited as the reason (blame in some circles) for the emergence of the back to basics movement that culminated in punk rock. Prog however is a resilient beast and although dealt a devastating body blow by the likes of The Clash and The Ramones the genre was not fatally wounded and has slowly been clawing its way back, not so much in its own right but by integrating itself into other forms of music and genres, mainly at the heavier end of the underground rock scene. Eyes Fly are not what you would call an out and out prog band but their music does have progressive elements, elements of complexity and intricacy blended with a fair amount of old school hard rock swagger and bullish metallic stoner bluster. Progressive, raucous, delicate and doomic "The Long Return" is absolutely off the scale in the groove stakes, an EP that proves that intricacy and complexity can live quite comfortably hand in hand with brute force and power without the need to compromise to either. Maybe there is something in those apples they grow in the UK's West Country that causes so many good bands to emerge from there. Doomicidal, Sergeant Thunderhoof, Sail and Cybernetic Witch Cult all have to some degree made their mark on the underground scene and all hail from the South West of England. Yeovil, Somerset combo Duskwood are another West Country based band hoping to reach a wider audience, the band first made the scenes movers and shakers sit up and take notice with the release of their 2016 debut "Desert Queen" a stunning collection of desert flavoured grooves underscored with a hint of 60's psychedelia and 70's hard rock swagger. Appetites whetted we waited eagerly for a follow up but it never materialised .. until now! 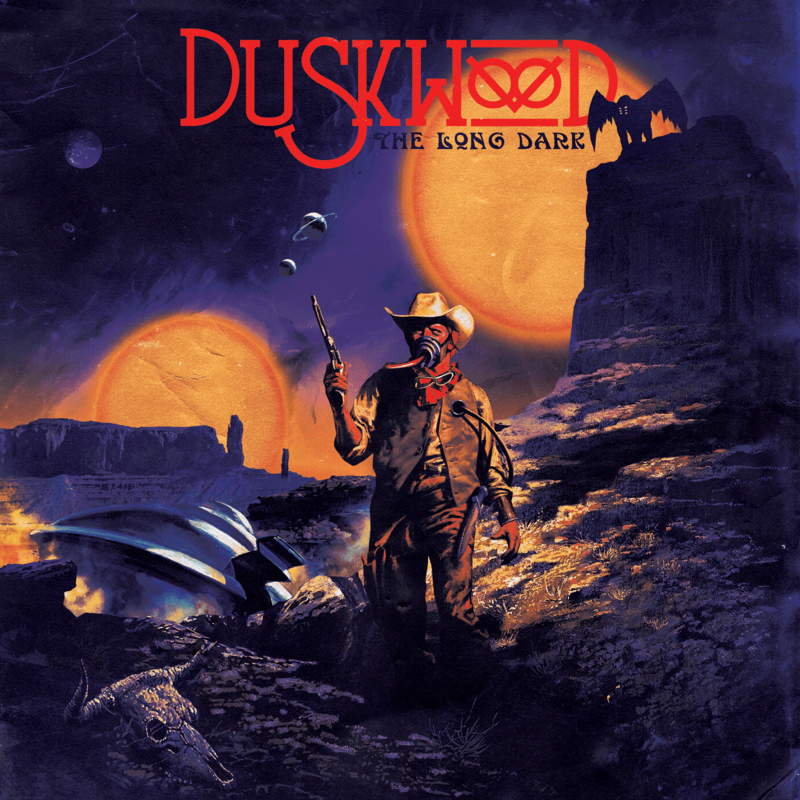 Three years after the release of "Desert Queen" Duskwood are back with a new EP, "The Long Dark", still swaggering and still desert flavoured. "The Long Dark" marks a stunning return for Duskwood but let's hope that the bands next release does not take another three years to be released, we really need music this good to be coming at us annually as opposed to tri-annually. It could be argued that "doom" began life when four working class guys from Birmingham, then called Earth but now known as Black Sabbath, discovered that by slowing down their heavy grooves they actually sounded heavier and more menacing. 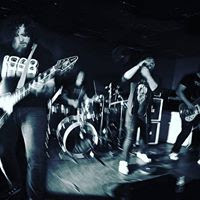 This newer slower heaviness took off and was soon embraced by bands from right across the globe with bands, like Candlemass, Solitude Aeturnus, Pentagram and Pagan Altar, picking up the mantle Sabbath had forged and putting their own spin on it, in turn inspiring others to do the same. Doom has gone through many changes since Tony Iommi's slow vibrato kicked started the movement and doom these days comes in a variety of flavours ranging from harsh and brutal through to low, slow and funereal but even today, and despite all its sub-genres and offshoots, that original doom sound still holds sway and can still send shivers rippling down the spine. 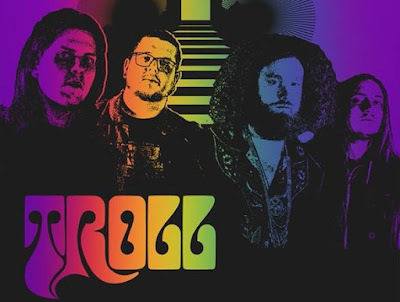 Portland Oregon's Troll, Rainbo (vocals), Wayne Boucher (bass), Ryan Koger (drums) and Lou VanLanning (guitar), understand this and that knowledge and history has inspired them to create "Legend Master", a true doom masterpiece! "Legend Master" is no ordinary doomic tome, here we have five intelligent and well constructed songs put together with a lot of thought and a high level of musical skill. "Legend Master" is a concept album. the second instalment of a trilogy, that tells its tales of dragon ships, eternal battlefields and spiral eyed goddesses swathed in an atmospheric blend of progressive rock and doom, traditional, proto and stoner, the band seamlessly weaving these styles/genres together to create a sound that is as beautiful as it is bleak. The words "sinister" and "menacing" tend to get a used quite a bit whenever we talk about anything doom related but those words become redundant when applied to "Legend Master" as like all the best fantasy/sci-fi novels there is an air of sorrowfulness and regret to be found amidst the albums lyrical content, a feeling that the main protagonist's sword rattling and shield brandishing is executed with a sense of regret rather than any sense of malice. Musically "Legend Master" is equally on point with Koger and Boucher laying down thick. solid layers of intricate and complex groove for VanLanning to hang his thunderous power chords and swooping solo's on while Rainbo spreads the icing on the cake with a voice that is as emotive as it is powerful, his weary melancholic tones sitting perfectly with the mournful nature of the albums lyrics and the sombre heavy music they are surrounded by. 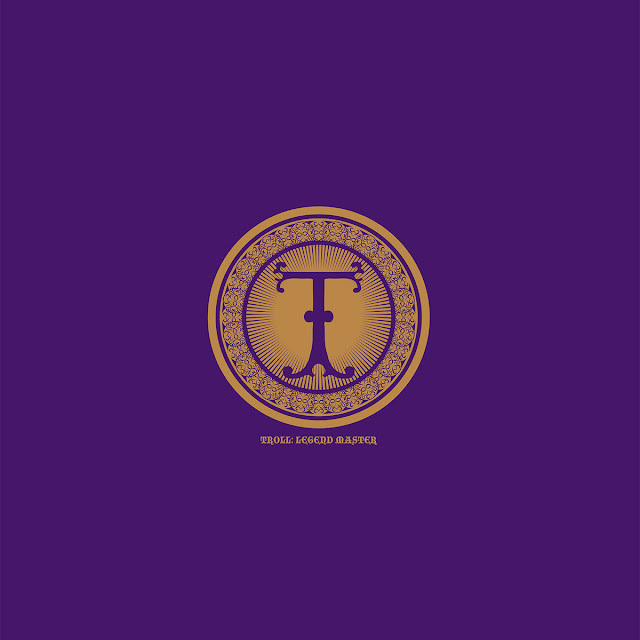 "Legend Master" is that doom album you always wanted to hear but never expected to be made, an album that is intelligent as it is groovesome, an album that marries the old with the new without the need to go into extreme territories, an album you have to hear. From the apple flavoured mists of a Somerset dusk emerge three men dressed in a variety of dark attire, three elders of the doomic altar with tales to tell, tales that will cause eyes to widen and spines to shiver, tales they tell while sipping rough cider from earthen jugs beneath the looming shade of the gallows their lifeless bodies will soon be dangling from. Well not exactly but it seemed a poetic way of describing the doomic themes and lysergic imagery of West Country trio Doomicidal's debut album "Shadow of the Gallows", a seven song opus that has its roots set firmly in traditional doom but its branches spreading out into the full gamut of doomic sub-genres and rock styles. Doomicidal, Roger Densham (bass), Migo Gage (guitar/vocals) and Barney Clements (drums), are not exactly what you would call spring chickens but neither could they be considered elder statesmen either. There are high levels of vibrancy and vitality to be found within the grooves of "Shadow of the Gallows" that many of the scenes younger guns could only wish to aspire to but there is also a fearlessness that comes with age and experience. 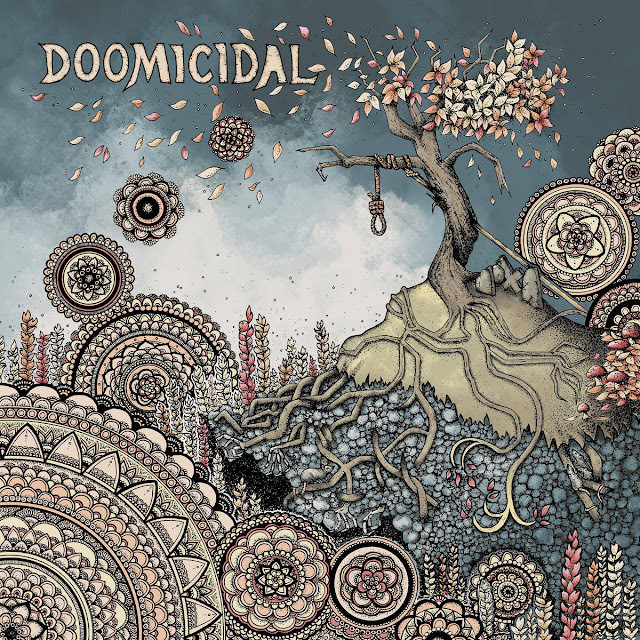 Doomicidal do not need to set their stall out to capture a specific demographic, these guys are long enough in the tooth to know that trends tend to come and go so instead spread their net wide enough to capture elements not only from the full doomic spectrum but also from music genres further afield. Hawkwind-ish space rock, 70's proto bluster, heavy folk metal and blackened doom are all explored and are all delivered with equal expertise, driven hard by Clements solid, tight percussion and Densham's earth shaking bass and enhanced by Gage's crunching riffs and swirling solo's. 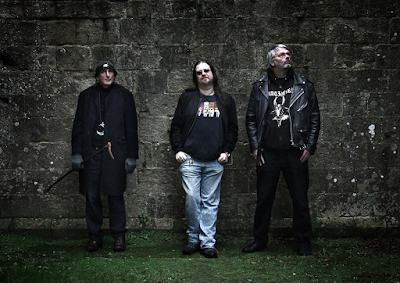 Over these grooves of various doomic shades are delivered vocal tones that range from clipped and gothic ("Hangman"), manic and sinister ("Rats In The Wall") to blackened and harsh ("Autumn") with a guest vocal, from fellow West Country pal Cookie Turvey, giving an almost theatrical vibe to "Bride of Baphomet", the differing and diverse array of vocal stylings bringing a whole different dynamic to each individual song and in turn giving the whole album an added dimension of interest. Despite the dark gothic lyrical imagery, that permeates every pore of "Shadow of the Gallows", there is an Englishness to Doomicidal's sound that gives their new album a slightly eccentric and left of centre feel and it is this off centeredness that is its greatest asset and makes "Shadow of the Gallows" such an enjoyable and rewarding listen. 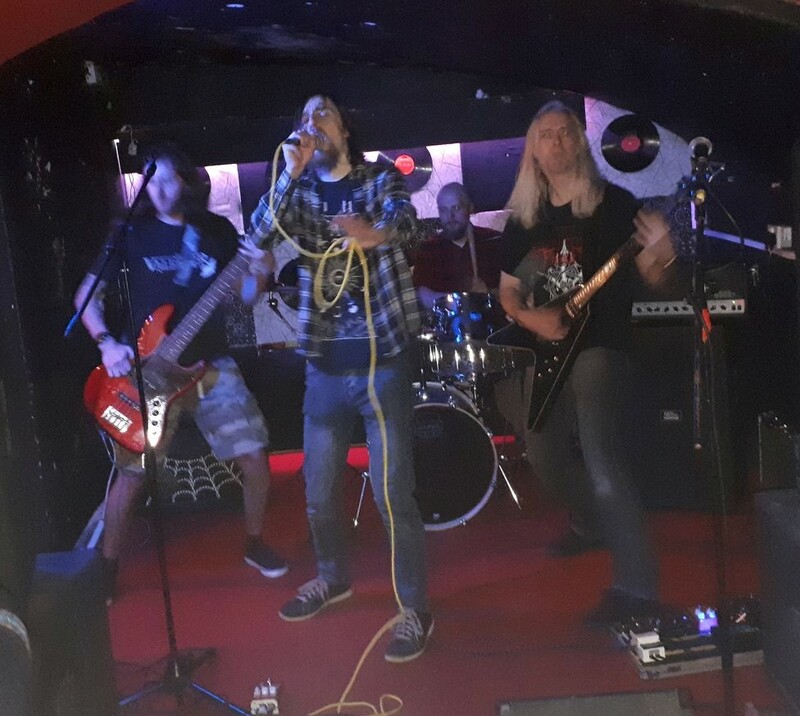 Norway is probably best known, in musical terms, as the spiritual home of black/death metal but there are plenty of other reasons to check out Norway's thriving underground rock and one of those reasons is the subject of this review. Praise The Sun are a band who like to retain an air of mystery, the Norwegian doomsters keep a very low profile regarding their identities, no band pictures on their social media, no line up information on their Bandcamp pages, nothing. What we can tell you however is that the band jam grooves of a dark stoner doomic nature and have released two EP's, "Overseeing the Mountain Void" and "E-Scriptures from the Summit", prior to releasing this their first full length album "IN: Thermoglobal Endpoint". In keeping with their veiled profile Praise The Sun's music is equally veiled and mysterious, the band telling tales of old gods and cold dark places in monosyllabic vocal tones over low slung down tuned refrains that have an almost ritualistic aspect to them. Vocals throughout "IN: Thermoglobal Endpoint" are not so much sang as intoned and add a sinister and almost monastic edge to the proceeding giving the listener an overriding impression that what they are listening to is not the latest album from a Norwegian doom band but some sort of satanic rite set to a soundtrack of brutal metal. There is not much light to be found on "IN: Thermoglobal Endpoint" but with songs with titles like "Everything, crystallized", "Voidwalker Reborn" and "Fractured" there was never any likelihood there would be, this is an album that wallows in its own shade, a celebration of old ways and Pagan deity's, an album that targets the darker ancient beliefs that still dwell deep in our subconscious and reminds us that before we had God we had GODS! 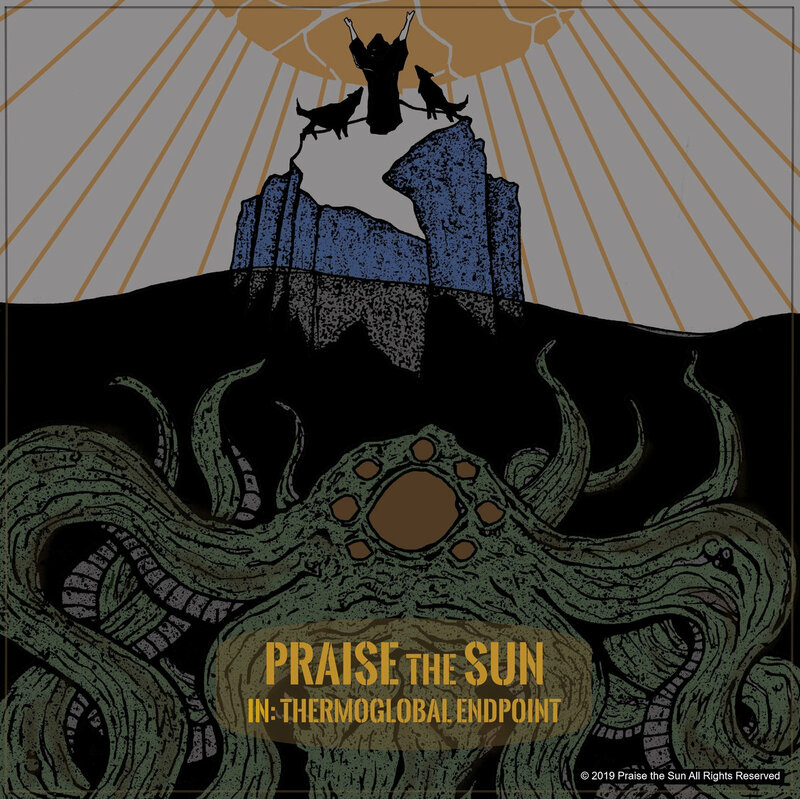 This is not an album likely to be put on to get a party started neither is it an album for the casual listener, "IN: Thermoglobal Endpoint" is an album that requires your full attention, from start to finish, so as to better appreciate its mesmeric nuances, its hypnotic subtleties and its dark spirituality. Kook, Troy Aschenbrenner (vocals), Eric Wilkins (drums), Jeff Wilson (bass) and Karl Larson (guitar), came into being from a variety of different directions the four members having played in numerous bands and projects. 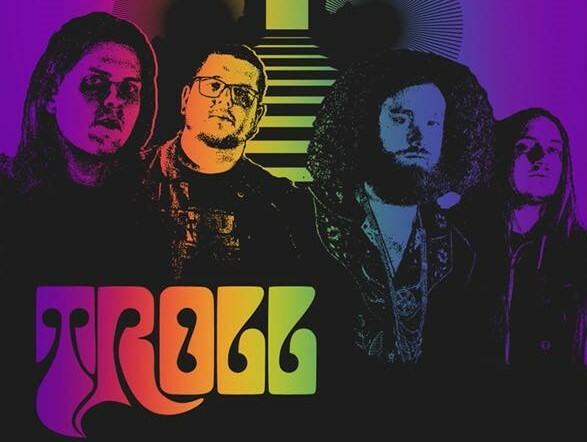 In Kook the quartet bring all those experiences and knowledge acquired elsewhere together in one place to create a groove unlike anything you may have heard before, a groove that is forever shifting and changing in both direction and dynamic. It is a sound that they first explored on their excellent debut "Kook" and is honed to perfection on this their second album "II". So what is your musical poison of choice? Are you doomster looking for darkness and dankness, are you a stoner/hard rock aficionado looking for crunch and swagger or are you a lover of the lysergic wanting to get off on swirling lead breaks and flights into the musical cosmos? Well if you answered yes to any or all of those questions then "II" is all your Christmases and birthdays' come together, if you cannot find something here that does not float your particular musical boat then my friend your boat has sprung a leak and should not have been on the water in the first place. "II" is a smorgasbord of styles, grooves and genres seamlessly weaved together in a tapestry of sound that not only incorporates all those elements mentioned but also manages to nod its hairy head towards heavy blues, indie flavoured goth-rock and good ol' fashioned heavy metal. Kook do not recognise musical borders and routinely criss-cross through and over genres and styles, a band who are as likely to tug at your emotions with a bluesy torch song ("Left Behind") as they are to have you creating your own solitary mosh-pit with the raucousness of their riffs ("Chased By Monsters") while at the same time unafraid to take a risk and set off into dissonant lysergic tinted waters ("Frequency 8"). 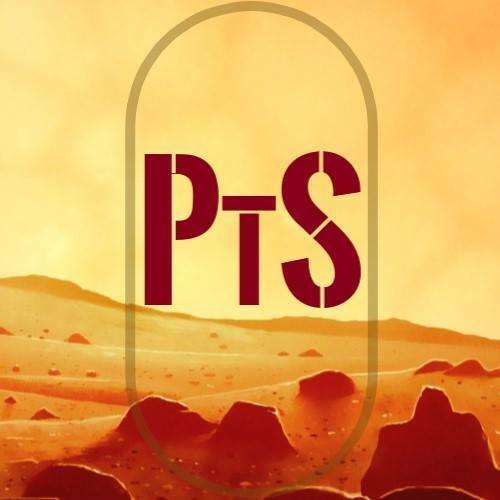 "II", we are told, is based around a concept of "the fight for survival...of the individual and the species...in an insane galaxy filled with monsters", well if this album is the soundtrack we walk into battle hearing then ….we might just have a chance.